Class giving is a way to work with fellow alumni to maximize your philanthropy and make a statement about the importance of an education from East Stroudsburg University. Commemorate your time on campus with a reunion or class gift. Alumni classes often establish funds that their classmates can donate to in support of an effort they all agreed on, as a class. Many classes have created scholarships, support for academic programs, university initiatives, or facilities projects. There are many options! 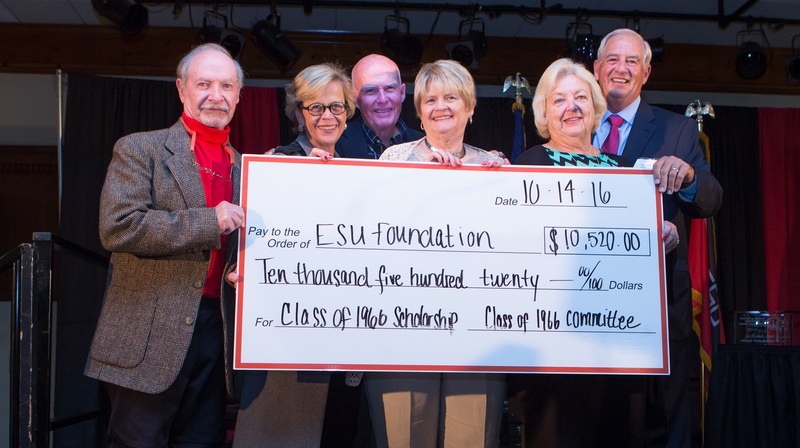 If your class wants to establish a fund, please contact the Office of Alumni Engagement at 570-422-3194 or esualumni.esu.edu to learn more. Supporters like you help to make a difference every day.